Product liability is the area of law in which manufacturers, distributors, suppliers, and others who make products available to the public are held responsible for the injuries those products cause. 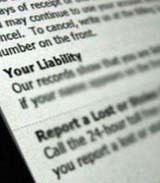 Our product liability litigation practice includes personal injury, property damage, and wrongful death litigation. Our firm represents designers, manufacturers, distributors, and sellers of a wide variety of different products. Our product liability attorneys advise companies regarding class action suits, product recalls, and multi-district litigation. This includes strategies for prevention of future product liability claims. They have applied their expertise in the areas of law applying to designers, manufacturers, distributors, and/or sellers of a wide variety of different products. DeLashmet & Marchand, P.C. have advised clients with respect to class actions, litigation arising out of product recalls, multi-district litigation, prevention of future product liability claims and general product liability litigation. DeLashmet & Marchand, P.C. is located in Mobile, Alabama and serves nationwide clients in matters throughout the State of Alabama and the Gulf Coast Regions of Mississippi and Florida. The following language is required pursuant to Rule 7.2, Alabama Rules of Professional Conduct: No representation is made that the quality of legal services to be performed is greater than the quality of legal services performed by other lawyers.This web site is designed for general information only. The information presented at this site should not be construed to be formal legal advice nor the formation of a lawyer/client relationship.